Nut Only for the 7/16 X 20 Thread Turnbuckles. 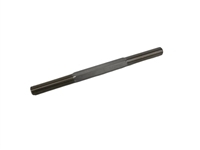 7/16 X 20 Turnbuckle Rod Only 5/8"
7/16 X 20 Turnbuckle Rod Only 1-5/8"
These are replacement Stainless Steel Hex centers for the 7/16" X 20 thread turnbuckles. 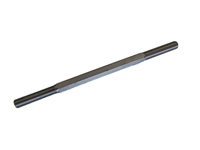 7/16 X 20 Turnbuckle Rod Only 2-5/8"
7/16 X 20 Turnbuckle Rod Only 3-5/8"
7/16 X 20 Turnbuckle Rod Only 4-5/8"
7/16 X 20 Turnbuckle Rod Only 5-5/8"
7/16 X 20 Turnbuckle Rod Only 6-5/8"
7/16 X 20 Turnbuckle Rod Only 7-5/8"
7/16" - 20 RH Turnbuckle End Clevis Only S.S.
7/16" - 20 LH Turnbuckle End Clevis Only S.S. 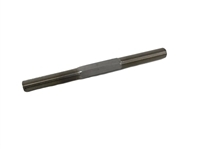 Replacement Turnbuckle End for the Glenwood 7/16" Turnbuckles. 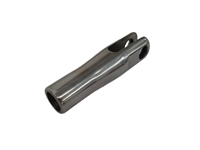 Stainless Steel Turnbuckles for 3/8" plate bosses.